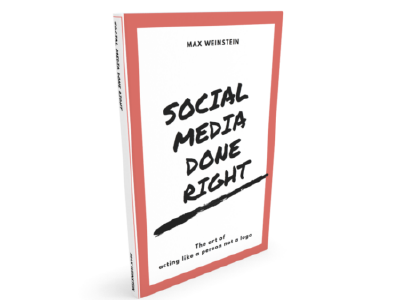 Social Media Done Right: The art of acting like a person not a logo is filled with case studies, lessons learned, resources, worksheets and social media stratigies that you can start using in your business right away. "Nothing like it on the market. You are TOPS!" "I also had the privilege of reading Social Media Done Right. It blew me away!"